Vacation rental house. Sleeps 15, 6 bedrooms, 4 bathrooms. No pets allowed. Paradise Inn is the ULTIMATE lake home. 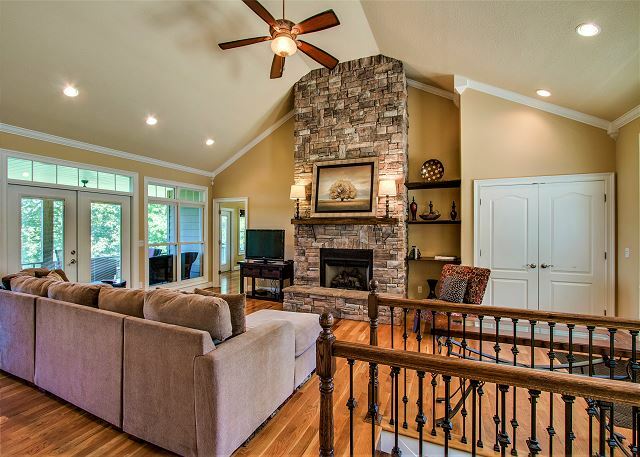 The decor is modern offering a great, open, bright, and welcoming lake house. The house is a 6 bedroom with 2 kings, 3 queens, bunk beds (top is twin and bottom is queen), 4 full baths, and a lake view. It has a community pool (located on the lower road, so you will need to drive to the pool area as it is a strenuous walk back uphill to the lake house). 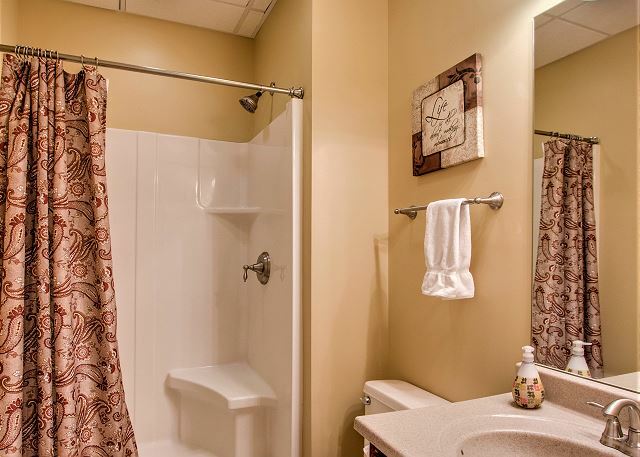 Has a hot tub, jetted bath and beautiful tile shower in the master. The home features wi-fi, satellite, flat screen TVs in 3 of the bedrooms and both living rooms (living room has wi-fi TV as well), large open kitchen and dining room, hardwood floors, ceiling fans throughout, and beautiful covered balconies. 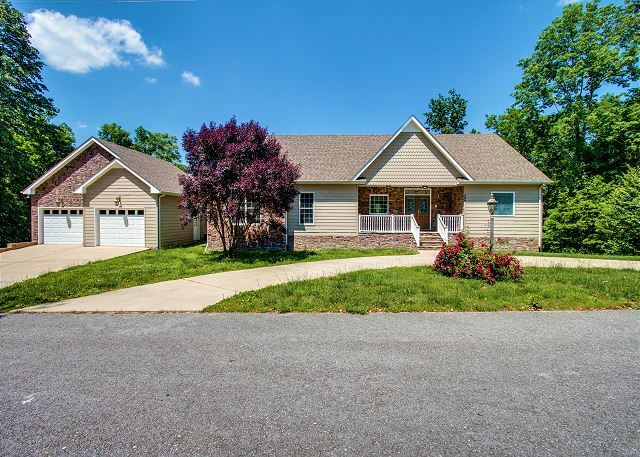 There are gas logs in both living rooms, master bedroom and the queen bedroom as well as a huge laundry room, great parking, gas grill, and stereo system with surround sound throughout the house. 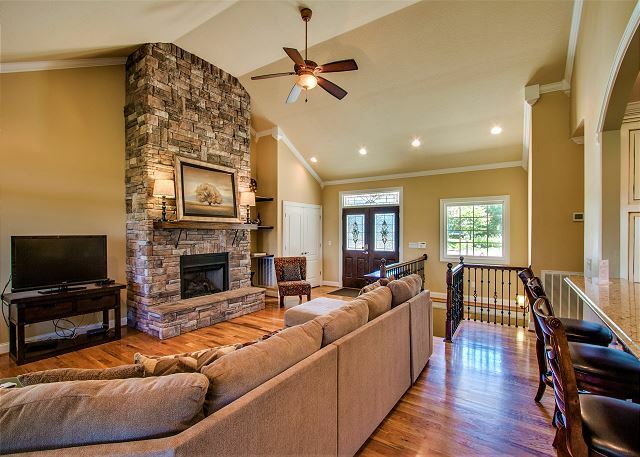 There are also trey and vaulted ceilings throughout. You will want to experience this vacationer's Paradise again and again. We are an extended family of 12 and rented the home over a weekend. There was plenty of space, plenty of bedrooms, a pool table for the teens, fabulous kitchen, and screened in porches. The weather was rainy, but still pleasant while sitting on the porches. Only complaint is the non-stick skillet wasn’t non-stick. Made pancake morning a trial. Good interaction with the property manager. Thank you for your review, Joyce. We are thrilled that you enjoyed your stay at Paradise Inn! Looks like it might be time for Paradise Inn to have a new non-stick skillet. We hope you and your family will stay again soon! This is the 6th time for our family to rent this property. We rented a different one two years ago ,but came right back to Paradise Inn! The only downside was the master bedroom needs a boxspring because the bed is very uncomfortable. We met the owner and he was so attentive to our needs. Thank you for your review, Celia. 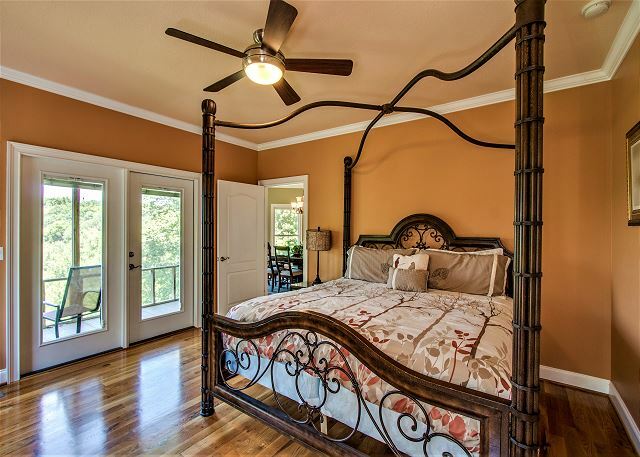 We have currently been working to find a bed for the master bedroom of this rental because we have had many complaints for it. We are glad you enjoyed your stay at Paradise Inn, and we hope to see you come back soon! We stayed here in July 2018. It is a really nice house. Can accommodate large groups. Very clean. The only issues I had were there were no dressers in any of the bedrooms to put your clothes in. So basically you have to keep all your clothes in your suitcase on the floor. Only one table to eat at with 6 chairs. The mattress in the master bedroom is cheap. Not comfortable, it slants to the left. Despite these minor issues, i would still recommend staying there! Thank you for your review, Bill. The homeowner of Paradise Inn chose not to put dressers in the bedrooms to allow more space because there are shelves in each closet to store folded clothes, and there are nightstands to store delicates. Thank you for mentioning the master bedroom matress; we will get that replaces as soon as possible. We are glad you enjoyed your stay, and we hope to see you again soon! We had a party of ten, six adults and 5 kids. The house was great. Plenty of room. The kids stayed downstairs and had a blast, with their own rooms and pool table. Rooms were large and provided enough privacy. Three bedrooms and two bathrooms down stairs and three derooms and two baths upstairs. 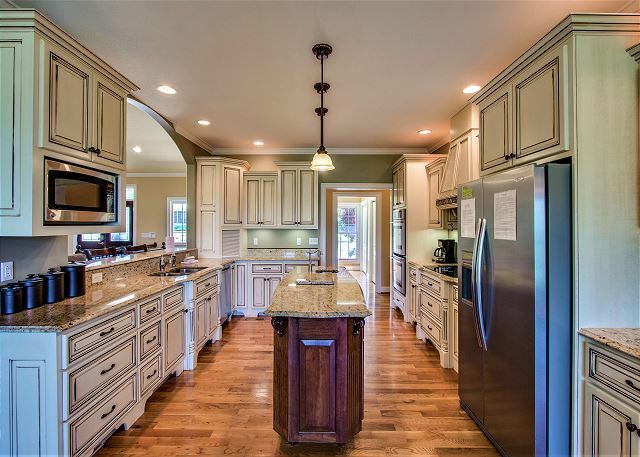 Beautiful, large kitchen. It is a great place to stay if you have a large group. Thank you for your review, Shelia. We are glad you enjoyed Paradise Inn, and we hope you come back to stay with us soon. Every year the girls in my family gather from three different states to celebrate family. We collectively decided Paradise Inn (Center Hill Chalets) would be a great place to spend the week. When we walked into the house, the people living at the bottom of the mountain probably heard our "oohs" and "ahhs". The house was gorgeous. The views were incredible. 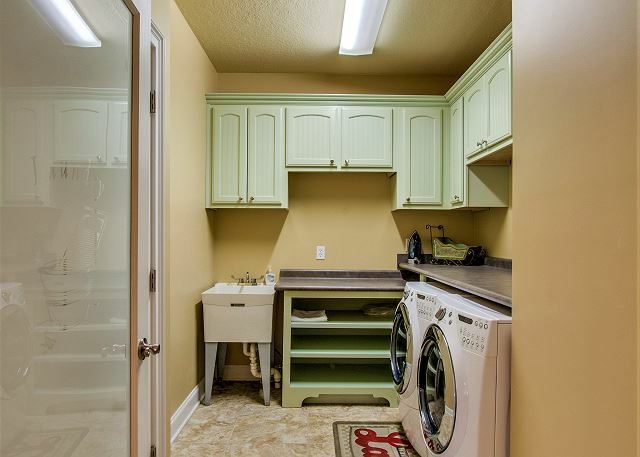 Everything we needed was there along with impressive surprises such as a huge pantry and laundry room. It was perfect. In spite of daily downpours, all the girls said this was the best time ever, because the house was big enough for all of us to gather in kitchen, den, balcony, etc. Danielle was extremely helpful throughout our process. Her kind and friendly manner made us feel right at home. A big thank you for a wonderful vacation. Thank you so much for your review Deborah! We are so glad everyone enjoyed the Girls Trip, and we would love for you to make Paradise the Girls Trip home every year! Fabulous home that was very comfortable, spacious and offered numerous kitchen appliances (baking dishes) not typically found in a rental. Our group thoroughly enjoyed our stay and would definitely stay again if we are in the Smithville, Tennessee area. Minor furniture repairs needed but overall a fantastic rental house. Thank you for your review, Barbara! We are so glad you enjoyed your stay at Paradise Inn, and we are looking forward to your next stay at Center Hill Lake! Where to start? The home is beautiful, beds surprisingly comfortable, and the views pristine. All the space you need for a BIG family or gathering. Almost as inportantly, the management company was a pleasure to work with. We are glad you enjoyed your stay at Paradise and look forward to your return! Thank you for your review! The house was easy to get too. Everything was clean and comfortable. We played pool and used the hot tub. We were overall very pleased with this location. There were 7 people in our party and each couple and our only individual had a bedroom (4 of the 6 bedrooms were used). We are glad you enjoyed your stay at Paradise Inn! We look forward to your next visit! Thank you for your review! We really enjoyed the rental home. It was spacious, clean and very modern. A few of the chairs were worn and wobbly, but that was a very minor detail. We are glad you enjoyed your stay! Maintenance has repaired the wobble chairs. Thank you for your review and we look forward to your next visit! Great house, lots of space, very clean, all amenities were available and nice. Great house. Plenty of room in the kitchen for several cooks. Nice pool table. We are glad you enjoyed your Thanksgiving! We look forward to your next visit! Thank you for your review! Loved the property....disliked the ladybugs! My guests and I loved this property. The view was awesome and the layout was perfect. The only thing we did not like was the place had been overtaken by ladybugs....now I know the rental company could not prevent this....but i do not believe it had been stayed in or cleaned lately because there were oh so many everywhere (even in dryer!). We apologize for the inconvenience of lady bugs. We have pest control services working on the issue, however in this area in the fall lady bugs are present in abundance. Paradise actually has been frequently occupied every week. There was a lady bug hatch in the area that caused the abundance. The good news is the lady bugs are getting to be less of an issue as we get closer to winter. We look forward to your next visit and thank you for your review! We had the best weekend get-away at Paradise Inn. There was plenty of room for our whole group and the views are gorgeous. It's nice that it's in a neighborhood, but still secluded at the same time. We will definitely be back! We are glad you enjoyed your stay at Paradise. It is a beautiful home. We look forward to your next visit! Thank you for your review! Beautiful property, loved our stay and for the most part provided everything we needed. A few recommendations however. If you say you can accommodate up to 16 people, there should be enough supplies for 16 people. We were a group of 10, had one frying pan, one big pot, hardly enough glasses, bowls, mugs etc for that amount of people. Dining room had 5 chairs and outdoor patio did not have enough seating for 10 either. Barbeque had 1 burner working and two tea towels is all we found! This house was great, it just needs to be replenished with a few more items. Compared to other rental homes, supplies were lacking. As we were on bikes, it would have been great if beach towels were provided as well. Was great. Was very clean and nice. One chair had a loose arm rest, but otherwise beautiful. The kids loved the pool. FYI. We couldn't find toilet paper so had to buy some. There was only the roll that was on the holder. We are glad you enjoyed your stay! We apologize for the inconvenience with the toilet paper. We keep extra rolls under the sink. We look forward to your next visit! We love the Chalet we stayed in , this being our third time, it's spacious, set up nicely for a large number , and accomodating. There were some issues and they were quickly worked out by calling the numbers we were given at check-in. We rented Paradise Inn for a week that included the Fourth of July and the Smithville Fiddlers Jamboree. We had five families, total of 11 people including 16 year old and 9 year old boys. The house is large and roomy and we all had plenty of space. Several days everyone found their own corner to chill out. The furnishings are first class and the house seems almost brand new. 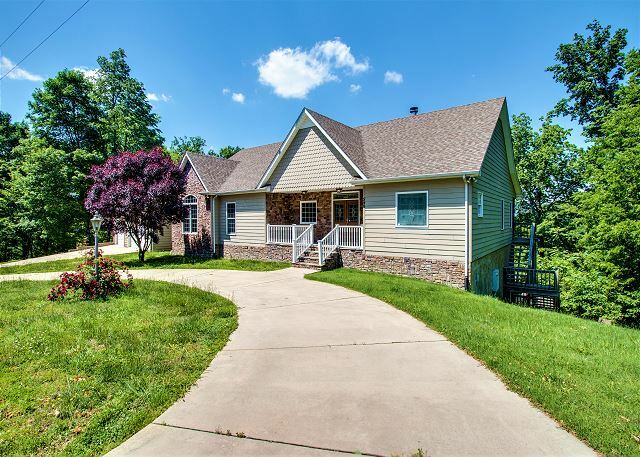 We cooked several meals in the gourmet kitchen, and had many glasses of wine on the screened in deck overlooking the lush Tennessee hills and part of Center Hill Lake. The gas grill was great for our burger cook out, and several folks distressed in the hot tub. Multiple refrigerators, TVs, billiard room with bar, and large laundry and pantry rooms made our stay easy and comfortable. The ease of renting through Center Hill Chalets was a bonus for us. CHC is fast, friendly and thorough in all of their communications, and they provide all kinds of information about events and points of interest in the local area. Everyone in our group said they wanted to stay at Paradise Inn again, so we will be back! The house was gorgeous. Clean, well equipped and lots of room. Beautiful view from upstairs back porch. Would recommend this home to everyone. Thank you Center Hill Chalets, your group is great. Owners and maintenance were quick and responsive with minor questions (hot tub function, etc.). Pool room was fun as well. The house has lots of space and had everything we needed. Everything was clean and the kitchen was equipped with things we needed. We hope to come back again. We are glad you enjoyed your stay and look forward to your return! Our stay was awesome! Great home for a large family! We are glad you and your family enjoyed your stay and look forward to seeing you again! Paradise is great for a large family get together. Thank you for your review! This is the second time our group has stayed at the Paradise Inn. Wonderful place with plenty of room for several families! We will return! We are glad you enjoyed your stay again! We look forward to your return! Awesome house to have your "Dirty Thirty"
Could not ask for a nicer place. If I did, it would seem petty!! We had an awesome time!! Thanks for the memories! Will definitely consider this house again in the future!! Happy Thirtieth! We are glad you enjoyed your stay and look forward to seeing you again! Better than expected. So much room and everything we needed. Surprise bonus of the pool table! We are glad you enjoyed ringing in the New Year at Paradise! We look forward to seeing you again in 2017! Our family had a wonderful time at this vacation home just enjoying time together. There was plenty of space for everyone. The kitchen could be a little better stocked, a spatula would have been nice. The master bedroom bed had no box spring and only a board down the middle for support. The house was very clean and the other beds were comfortable. Would stay there again. We are glad you enjoyed your stay! We will do an inventory in the house and replenish some of the items this month. The master bedroom has a platform bed which unfortunately does not call for a box spring, but we will make not of that for comfort. We look forward to seeing you again! We were here two years ago and returned specifically to this property. The house is large and open and has a wonderful view. The appliances are smarter than we are! The living room couch needs help. Everything else was just fine. I tried to leave this review via the app, but it required a picture and I didn't have one. We are glad you enjoyed your stay and look forward to seeing you again! Thank you for your review! We had a wonderful, relaxing and amazing time! We had enough room for all of us ladies to be all in the same place! The view was breath taking! The management was very helpful and went above and beyond to make our stay extremely amazing! It was everything we were looking for! Our ladies will definitely be booking another event to come back again! Thank you Center Hill Chalets! We a very glad you enjoyed your stay and we look forward to seeing you again! It was great. Very nice place, and perfect for our large family. There are few pieces of furniture that seem to have some wear and tear and starting to fall apart, but mostly very well maintained. This place was awesome! Had a blast and the view was great! Fit our needs to a T. Lots of space, good amount of beds and baths. Paradise Inn was the perfect choice for our family reunion. The layout of the house was great as it gave us room to spread out. The kids really enjoyed the pool table downstairs and made that area their own for the weekend. There were light bulbs out in some rooms, batteries dead in the TV remote and exhaust fan in bathroom downstairs not working. Overall it was a great choice and we would definitely do again and have already recommended to friends. We are glad you enjoyed your stay and look forward to seeing you again! We have notified our maintenance staff about the issue with the fan and lights. Thank you for keeping us informed. Great house with plenty of room, great views and quiet. We really enjoyed staying in this beautiful house. Everything we needed was there. The kitchen is awesome and well equipped for our needs. Our suggestions would be for a few more comfortable chairs in the upstairs living room and replace the sofa that has some broken springs. We really enjoyed our stay here and hope to come back again. 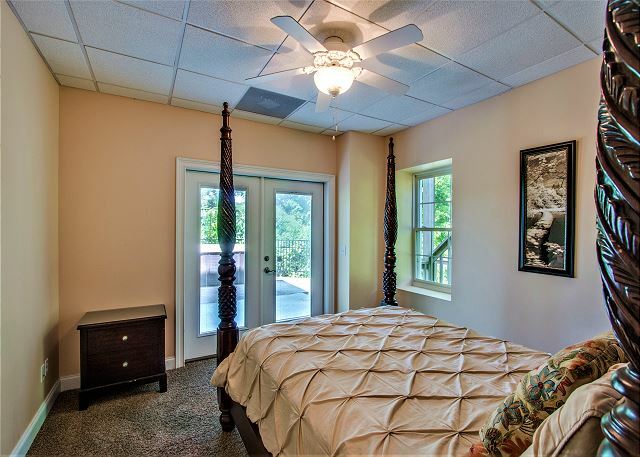 The property was clean and maintained and the property is exactly as described. We are glad you enjoyed your stay! Thank you for your review! We look forward to seeing you again! Very relaxing the house was amazing plenty of room with all the comforts of home. Enjoyed our stay can't wait for another family get together! Lisa, we are happy that you enjoyed your time at this home and hope you come see us again soon. I rented this house for a large group and was very pleased with our stay. -I called shortly after our arrival on Friday afternoon about a toilet not properly flushing and spoke with someone who said they would get a maintenance person out to the home, but no one came during our weekend stay. -Wished there were instructions on how to use fireplaces. Was only able to get the main one to work. Pro: Someone left the AUX cord to connect to the surround sound in the home- great feature! -The hot tub was perfect for our winter stay! -The pictures do not do it justice. 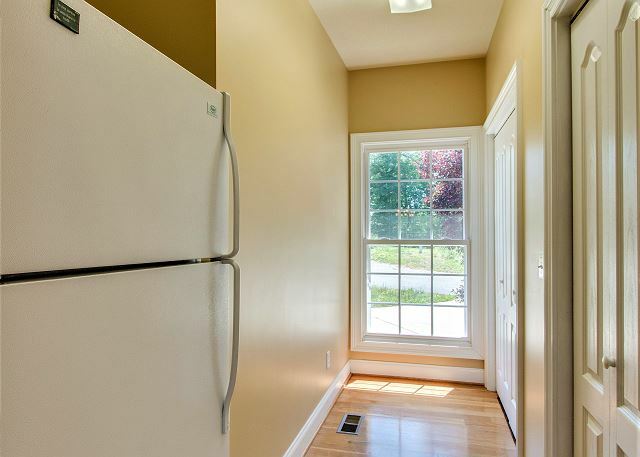 Really nice and spacious home with quality appliances and features. -Kitchenware is somewhat limited (no large bowls) so bring what you thing you may need. -The switch for the disposal is located INSIDE the bread cupboard to the right of the sink- you have to reach in and around to the left. -There are 3 refrigerators in the home! Overall, the stay was great for the weekend! The home was clean and spacious. Would come back to Paradise Inn. Katherine, it seems like you might have enjoyed your stay with us. As you stated, the home was clean and we strive to please everyone but it can be hard to do at times. This is one my favorite winter cabins that we've stayed at. Every room is so nice and for a group of six married couples we had plenty of space. All of the accommodations were superior from bedding to kitchen to living room furniture. The hot tub was excellent as well. They even had a Christmas tree up in the living room for our Dec stay! The lake is a 10-15 min walk (not much of a shoreline) and the community pool is about half the distance to the lake (for those staying in the summer). We'll definitely be back! Rachel, This home is such a nice place to come and enjoy with your friends and family. We are happy that you had a great time and hope you return to enjoy many more happy occasions. We have stayed in this same house for the last 3 or 4 years in November. It's a "Couple's Trip" and we're all close friends. We have the best time there and LOVE the location and this house altogether; it's a perfect fit for our group. However, this year we noticed some items that need some maintenance/attention. We'll definitely be back next year, but we hope those items will be repaired. THANK YOU! Paul, We are happy that you and your friends have come here for so many years. We hope that you continue to come here for your "trip". It is always so much pleasure to see returning guests. Please make a return trip next year. Our escape was relaxing, quiet, and refreshing. The house is away from others with very little traffic down the road. Definitely want to do this again!!!! Mike, We are happy that you and your family enjoyed staying with us. This is a great home for relaxing and enjoyment. Please come back and stay with us again. The house is perfect for families with lots of children and also adults. We had two families with 7 children ages 17 down to 10. All loved the house and the view was fantastic. Kelly, this home is perfect for anyone to come and stay in for a great time. We are happy that you had a good time and look forward to you coming back. Have a good day. We held another family gathering at Paradise Inn in 2015 after we had such a great time in 2012. While it was in mint condition in 2012, we noticed some wear and tear since our last stay. Even so, it's a wonderful space to gather with a fantastic view, plenty of room in common areas, great kitchen, plenty of bathrooms and plenty of rooms. We love the patios and took wonderful photos from both decks. We hope the bedding is refreshed soon as all the mattresses are tired and need to be replaced for good sleeping. Kim, we are happy that you and your family had another great time with us. Please come back and stay with us again. The home was very nice, plenty of room for a girls weekend out. The screened porch had a great view to the lake and the lower floor porch was a great early morning quiet place. The home had everything you would need for a great weekend. I would say this is one of the best homes I have rented. I always look for feedback on bed comfort, and if you are one that does the same, this home has good beds, you will not be disappointed. Just a note to those who want to be close to the lake, this home is 20 minutes to Hidden Harbor. The marina is very nice but a little difficult to actually get to the marina store. I will say the marina store staff was Awesome, very friendly. Judith, thanks for staying with us and please come back. very relaxing with amazing views. Thanks for staying with us and hope that you return to stay with us again!!!! We loved the rental house even though it needs a little TLC here and there. The view is picturesque. The area has such a nice pool, lovely homes, nice roads for walking and most of all pretty quite. Celia, the view here is breathtaking and the home is beautiful. Thanks for staying with us and please come again. We spent a week at this home on the lake and had a wonderful time. It had plenty of room inside along with a wonderful screened porch and lower porch with hot tub. The kitchen was actually equipped well and the home was fresh and clean. It was loved by all! Valerie, we are happy that you and your family had a great stay with us, and hope that you return for another visit with us soon. Great House for Big Groups! Huge house with plenty of bedrooms, gorgeous view and lots of common space to hang out. Only about 20 minutes from marina. Only complaints would be there wasn't enough kitchenware for a big group (cups, pots/pans for cooking, etc.) and the across the street neighbor was rude to our group on several occasions and clearly did not like that we were there. Other than that, great house! Thanks for staying with us. It sounds like you had an good experience with us, overall. Please come back again. Been staying here for years! First, the house is stunning as well as the entrance to the community. It has gorgeous views. This house is large enough for a big group with all the amenities. The community pool is great but do remember that people from outside the community get people to let them. Thanks for coming back to stay with us again and we look forward to your next visit. It is always great to see such wonderful returning guests. Thanks again. Good not have asked for better! This house is amazing and very well stocked. We had a group of 15 and found the house to be very spacious and comfortable. The views from the back porch were great, and the community pool was even better. We will definitely be back next year. Thanks, Casey. Paradise Inn is one of our most popular rentals. We are so glad you enjoyed it. We had a wonderful time. The home was very comfortable and spacious. My uncle Bill stated this was the best vacation he has had his entire life. Thank you for your review, I'm glad you had a great time. And tell Uncle Bill to come back and see us soon. We rented this property for a business retreat. It provided plenty of space in a lovely location. Thanks for your feedback, This is one of the largest homes we have on Center Hill, We have some of our company outings there as well. We hope to see you again soon. On behalf of Generation Church, I would like to express our happiness in the rental of Paradise Inn. The house was extremely clean and orderly. The view was amazing. I will be contacting you all again in the future. Amazing stay! I think this year made our 3rd year of staying in this same house! We absolutely love this house. It's the perfect size, price, location and accommodations for our group that stays there in November! It's a "Couple's weekend!" I had a very positive experience renting the Paradise Inn on Center Hill Lake. The house was very clean, comfortable, and beautifully furnished and decorated. The kitchen had granite counter tops and very high-end designer cabinets. The kitchen also had everything we needed for preparing meals. 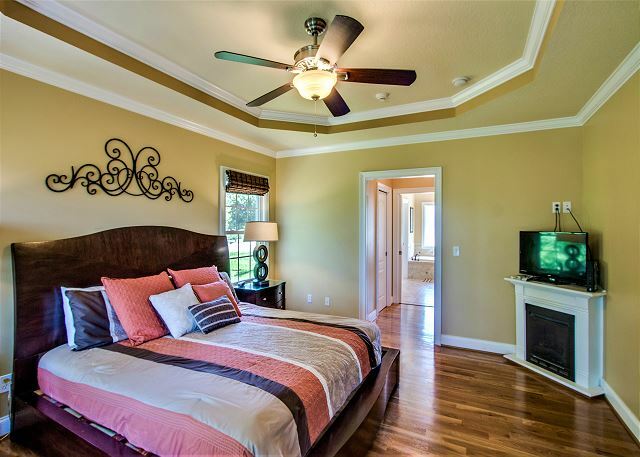 There are six bedrooms, all of which seemed quite comfortable except for the master bedroom. The two that slept on that bed did voice some dissatisfaction with the mattress quality. Also, one of the other bedrooms on the main level (with king bed) had no closet, chest or dresser for unpacking clothes. Off the master there is an amazing bath. There were three other baths in the house, all very nice. Three of the bedrooms are on the main level with the other three downstairs. The living area had a large sofa with ottoman, however, not enough seating area for the eight of us without using the bar stools behind the sofa or the chairs to the dining table. Also, the dining table only had seating for six people. 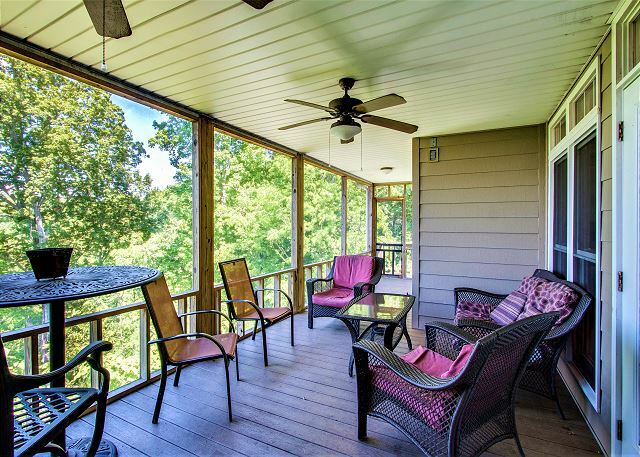 The deck was great with a great view of the wooded area and the lake. We would definitely rent this property again. However, there is no cancellation policy once you sign the contract and pay the deposit. You will then be charged the full rental even if cancellation is necessary. This was a perfect place for our wedding group! The house was big enough for the Groom and his family, as well as a few additional groomsmen. During our "down time", the group enjoyed the pool table, hot tub and the kitchen accomodations. This house is amazing!! Everyone had a great time and we look forward to coming back next year (we hope they put new mattresses on the beds as that was our only complaint). The master bedroom needs box springs under the mattress. 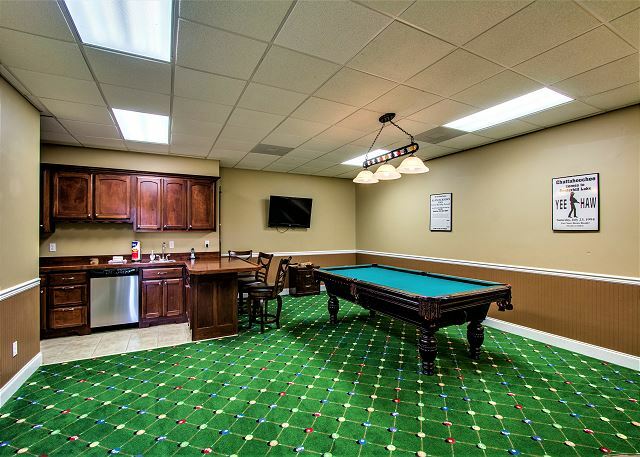 The kids enjoyed playing pool in the game room and the adults enjoyed spending time on the deck or in the dining room. We had 8 adults and 6 kids and this house gave us the room we needed. I'm giving a 3 on the overall condition but the only problem is the uncomfortable beds - if they were comfortable it would easily be a 5 star!! We called maintenance twice and they were on spot with taking care of the issue VERY quickly...Great, Friendly staff!! This year after 30 years on HB we decided to rent a house. We have 4 couples & 2 single women. Pics did not do house justice. We will definitely go back. Kitchen was not well equipped. Several things needed repair. Maintenance man was wonderful. Long drive from marina but we knew that on front end. Short walk from path to water. Recommend Hidden Harbour for Pontoon rental . We did half days so can relax in the morning with leisurely breakfast. House keeping could have done better. House is perfect for us. Only down side is distance from water. I was looking close to home for a short get-away with my family and I already knew Center Hill was a pretty place so looked on line to see what was available for a large number of people. Paradise Inn just seem to meet our was beautiful, clean, nice yard , close to the lake, stores, pool, and jet ski rentals. We had a blast! We had a wonderful vacation at Center Hill Lake. Paradise Inn was more than we expected. It was very clean and so much room to spread out. Fairly close location to a boat ramp entrance. We will stay here again. Pool facilities were superior!!!!! First and foremost is the people at Center Hill Chalets are the best. Paradise Inn is absolutely gorgeous and the Blue Water Bay subdivision is awesome. Kid Friendly and breathtaking. We were 3 families that stayed in Paradise Inn. Paradise it was! The pictures on your site does it no justice to this place. You must see and experience it first hand. The layout of this house is remarkable. Exceptionally clean, everything we needed and more, and an amazing view! The chalet is beautiful! I would definitely recommmend staying here. It was comfortable and modern. The pictures on website do not do the chalet justice, it was absolutely beautiful, the view was beautiful. Will recommend this chalet to all of my friends! We had a great time visiting Paradise Inn. I would definitely recommend it! The house was very spacious, with several areas inside and out to relax, which is exactly what we came to do. I personally enjoyed curling up next to the fireplace with a book while friends played board games at the kitchen table. The guys enjoyed a few games of pool downstairs, too. We were there in Spring, so while we did enjoy the outside seating it was generally for a limited time, as it was cool outside. But the view, as well as the peace and quiet, was much needed. The pictures for this place look pretty awesome, but don't really do it justice(its bigger than what you can really tell from any pictures). I rented it for my 30th birthday and had some friends over - we all had an amazing time. Loved the hot tub. Speakers wired through the whole house. 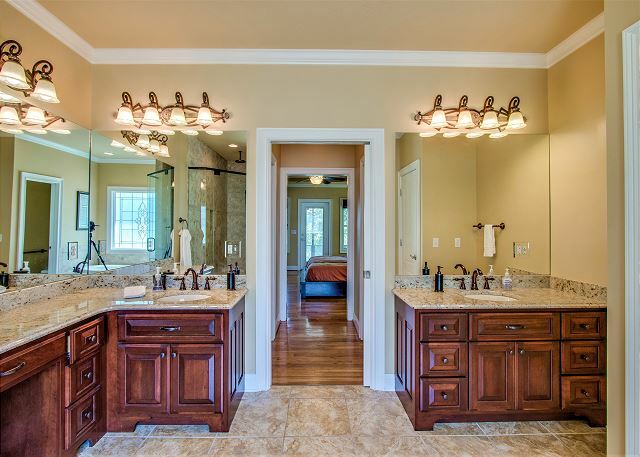 Master bathroom is over-the-top nice. Only issue we had was that the CD player hooked into the speakers running through the house didn't work. I ended up solving it by hooking up an aux audio cable to the unit. I left it there for anyone else in the future that wants to use it. I'm already planning on renting the place again for my birthday next year - I believe I couple of my friends are interested in renting it for their special events as well. Thank You for your feedback. We are happy to hear your group had a wonderful stay. This awesome house has plenty of room for a large group. Beautifully laid out, with a great kitchen. This was our group's second visit to this home. It just did not seem as clean as our first visit. The master bathroom had several oversights, a kitchen window was stuck a little open, lots of lady bugs downstairs. It would be great if the CD player on the house's sound system was in working order, or better yet had a dock or USB. But, we have room to cook meals, lots of room for everyone to sleep, we just wished we had more seating to watch movies together more comfortably. It's a great house, it just needed a little TLC on this visit. We most certainly enjoyed our stay at Paradise Inn. It is a lovely home. The ice maker in the kitchen fridge did not make ice (so you might want to check that out). Other than that, all was great!!! Second year to enjoy my family under one roof. Will book again for 2015. We are very happy that your family enjoyed your stay! We had a great time at the house! Will be back next year. This is our 5th trip to Center Hill Lake, and our 3rd renting with Center Hill Chalets. We would never use anyone else. They are phenomenal to work with. Sherry and Tara are the best-by far. We needed 6 bedrooms and Paradise Inn has it, along with everything else you need. The game room and tv set ups are great. We have had 2 different groups stay in this house with us, and both were wowed by it. We had a small issue the first day with the hot tub, and we called the after hours #. Eddie Holt answered and said he would be there in about an hour and 1/2. In 45 minutes he was there, fixed the problem immediately, and could not have been a nicer guy. He even gave us some recommendations of places to go eat, and hear live music in the area. 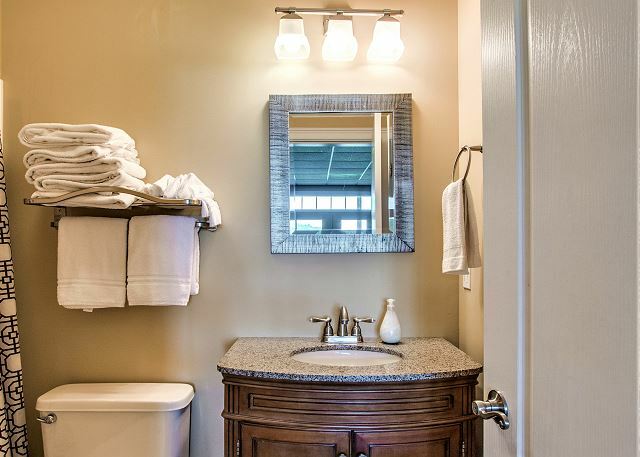 In a world where people seem to care less everyday, and expectations are rarely met, the folks at Center Hill Chalets, truly stand out. Every time I have spoken to any of them, I feel like they are old friends. It makes the trip that much nicer, not to mention, both houses we have rented have been awesome. This house was perfect to bring the whole family together. Spacious and well appointed. The WiFi worked easily as did the climate control in the house. The lake level was very low which I think hindered our view. A local map of lake access points would have been a nice touch. I felt we were a little far from the lake but it could be I never found a closer area. I highly recommend this property and Center Hill Chalet Rentals. We had a wonderful stay at Paradise Inn. It was exactly what we were looking for. The one and only complaint that I have it that it could have been cleaner. I found where something sticky looked like it had been spilled on the hardwood and I had to clean it up and other areas wasn't that clean, but other than that, we would consider it perfect! We had a large family group and the Paradise Inn was perfect for us. The house is absolutely beautiful, the location great and the view fabulous. Wonderful overall experience. Very nice home. Roomy and very up to date . We had 5 couples for the long 4th of July weekend. Robin and his staff were very nice and easy to work with during the rental process.The house was very spacious modern and up to date. Very nice bedrooms. The view off the deck was fantastic Rolling hills and the lake in the background. 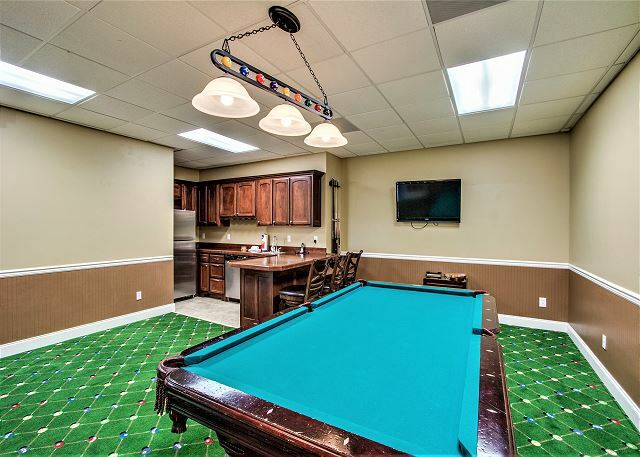 Because of the rain we spent several hours enjoying the pool table.I have rented several houses at center hill.This BY FAR is the best one we have seen and the price is very reasonable. Highly recommend this rental property. We had a great weekend getaway at Paradise Inn with 5 couples from Nashville. Paradise Inn allowed us to have a relaxing weekend together without going too far from home. The bedrooms were beautiful, well furnished, and provided great privacy. The fireplaces, hot tub, and pool table were group favorites. Thank you for a great weekend! We are already planning our next trip! Wonderful place to get away. Accommodates 4 couples comfortably. 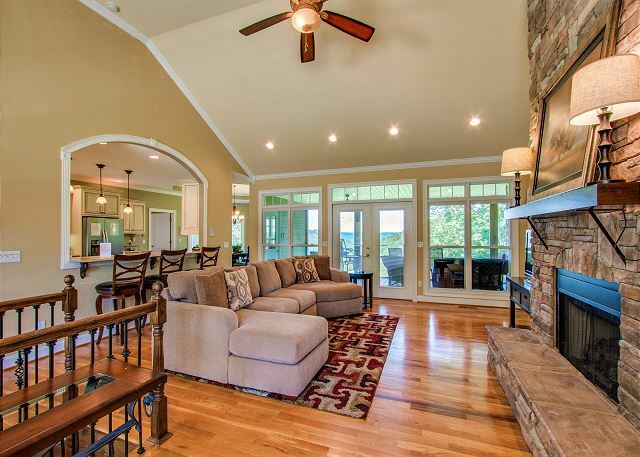 The size and layout of this property lends itself well to multiple families vacationing together. The view of the lake is tremendous!!!!!! Our entire stay was fantastic. Great house! We enjoyed our stay and would love to come back. We didn't use the hot tub because it didn't appear to have been treated recently. We really enjoyed our stay at the house. We were impressed with the cleanliness throughout, even the outside porches. And we liked the screened porch with the nice view of wooded hills and lake in the distance. The rooms and features were very nice. Special place for special weekend. We had our daughter's wedding in Smithville,so this rental made it very convenient. The house was great,very spacious and beautiful view. I will be back. a guest from Franklin, TN does not recommend this vacation rental. Only complaint is that the upper oven didn't work. My ONLY complaint – the kitchen needs Oven Mitts! Other than that, I truly enjoyed my stay and will be renting this home again!! We stayed at the Paradise Inn on Labor Day weekend and we all enjoyed our stay tremendously! It has a vast amount of space and so many amenities we were impressed! Thank you for the experience! Great house, great location, very large rooms. I was a little disappointed with some things inside the home being damaged when we arrived. The oven doors were both damaged and would not stay closed (bent hinges). Toilet paper dispensers were broken in some of the bathrooms. The hot tub temperature could not be turned down. We had a lovely time. Great family get-away. The house is beautiful and well arranged. We could have used some additional larger serving dishes. Upper oven did not work & we could have used it. We had some difficulty getting the tvs working with the remote. Instructions would be he helpful getting tvs on with remote to connect with network. Cleaning must have been done a long time before we arrived as it was dusty. Hardwood floors pretty dirty as we had crawling babies who got very dirty knees & feet. The upstairs screen porch was quite dirty with several spills noted on the cocktail table. we had to sweep the basement family room several times due to a wormlike bug. I don't know how to resolve this as it is in a wooded location??? Generally, we totally enjoyed ourselves and would return & recommend! was very nice and helpful.We will rent this house again!